Markets change. To stay on top, you need to change with them. Economist Joseph Schumpeter spoke about the “perennial gale of creative destruction”, where technological transformation and visionary entrepreneurs give birth to new things that annihilate old things, only to see the next generation obliterate those new things. Some of the most well-known companies in history no longer appear on the Fortune 500 list, having tumbled from great to good to gone from the list—companies like Kodak, Chrysler and Warner Lambert. And, out of the 500 organisations that made it onto the first list in 1955, only 71 were still on the Fortune 500 list in 2008. However, the forces of creative destruction are not unavoidable: not every company must inevitably fall and die. After all, multinationals like Johnson & Johnson, GE and Procter & Gamble have been around for over a hundred years and their positions in the Fortune 500 have climbed. And companies like Lego and Xerox plummeted from their pinnacles, but then turned themselves around from the brink of destruction to become great once again. How did they do it? It comes down to innovation, getting back to basics, and continuously adapting to changing customer needs and changing markets. Lego is a fantastic story of a truly dramatic turnaround. And thank goodness, as it would be hard for many of us to imagine a world without Lego toys. Indeed, many of us grew up playing with Lego blocks, as did our parents. Way back in 1932 in Denmark, expert carpenter Ole Kirk Christiansen founded the original Lego company. With the Great Depression eating into sales of his step ladders and ironing boards, Christiansen switched to making toys at the same time. This pivot proved to be such a colossal hit that he completely turned to making toys under the brand name Lego, translated from the Danish “leg godt” as “play well”. The organisation thrived under the leadership of Christiansen’s son Godtfred, who came on board at the tender age of 12. In 1979 grandson Kjeld Kirk Kristiansen took the reins. By the late 1990s, however, the firm’s downfall had begun – largely because of a disorganised strategy to become the world’s largest kid’s brand with messy expansion into clothes, dolls and books. 2003 was Lego’s darkest year yet – the 81-year-old-company was teetering on the edge of collapse. Revenue was tumbling at 26% each year. It lost 1.4bn Danish Kroner ($244m) in 2003 alone. Private equity and venture capital companies were closing in for the kill. Kristiansen stepped down as chief executive, bringing to a sad close over 70 years of family owner-management. The company firm was forced to sell assets, including 70% of its Legoland theme parks, to American private equity firm Blackstone. In 2004, Jørgen Vig Knudstorp, an ex-McKinsey management consultant who had been with Lego since 2001, became president and chief executive. 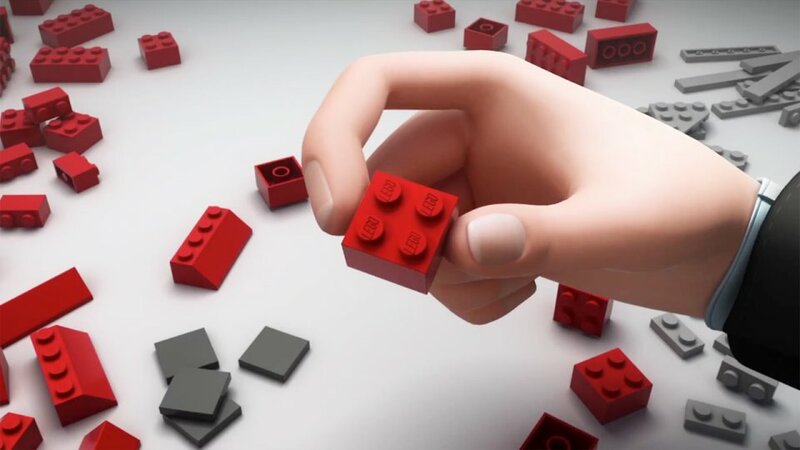 Although his mandate sounded simple, it was no easy task: “to take the best of past and really restore that and make that very core – the Lego brick – an operationally sound and profitable experience for the company again”. And so he set out to rebuild the broken Lego brand one brick at a time. Fast-forward to 2014, and the plastic brick company has resurrected itself and is once again the most profitable toy maker in the world, in front of Barbie’s Mattel. For the ninth year in a row Lego has recorded a record-smashing year of growth in sales and profit. Its massive profitability stems from its very high margins: it converts each kilogram of raw material plastic – which costs under $1 – into play sets that sell for over $75 a kilogram! According to the Guardian, Lego’s 2013 annual profits have climbed by almost 10% to 8.2bn Kroner ($1.43bn) and sales have rocketed 10% to 25.3bn Kroner ($4.4bn). “That is an incredible quadrupling of our revenues in less than 10 years,” Knudstorp asserts. He has spearheaded Lego’s return to greatness since taking over as CEO from Kjeld Kirk Kristiansen in the 2003/2004 crisis. How does Knudstorp explain Lego’s dramatic turnaround? Getting back to basics, innovation and cost-cutting. He also credits ongoing innovation and the creation of 60-70 new products every year. These include the Harry Potter, Star Wars and SpongeBob SquarePants lines. However Knudstorp admits it is still a “major innovation challenge” to “stay on the top of children’s wish lists” in the face of steep competition from iPads, computer games and other technology. “We need to constantly become better, or otherwise there will be someone out there who will catch up to us,” he says cautiously. Also contributing to Lego’s recovery and climb in profitability is Knudstorp’s focus on cost-cutting. He slashed thousands of jobs, and discontinued hundreds of products to concentrate on Lego bricks. He also cut in half the amount of bricks manufactured. This strategy has reduced costs and made each Lego component more profitable. After all, Lego’s costs come from the design and manufacture of new models, not from the cheap raw material plastic that they use. Lego has also strengthened its digital footprint. However Knudstorp credits their customers for doing much of the groundwork for them in this space. Lego users make over 99% of Lego Youtube videos themselves. These feature Lego constructions of everything you can possibly think of, from the London 2012 Olympics to the New Testament in the Bible. “We’re not leaving the brick, but we will leverage digital technology to stay relevant over the next 20 years,” Knudstorp adds. The Lego brand is also getting a big boost, thanks to the popularity of the Lego Movie. Released in Feb-2014 this boxoffice hit earned more than $468m worldwide. What’s next for Lego? Knudstorp wants to “take the bricks all over the world.” In 2016 Lego plan to open a new $300m factory in China. “We see a huge opportunity to bring Lego further out into the world in the next 20 years,” he said. Soon Lego will have made more mini-figures than there are humans on the planet! Lego’s recovery is a fantastic lesson about getting back to what made you great in the first place: their humble plastic brick. Hopefully, Lego’s actions will keep them around for a long time, not only for my kids but also for their kids and many generations to come.